The three Swarovski Crystals are surrounded by 30 smaller Swarovski Crystals in four different colour clusters. 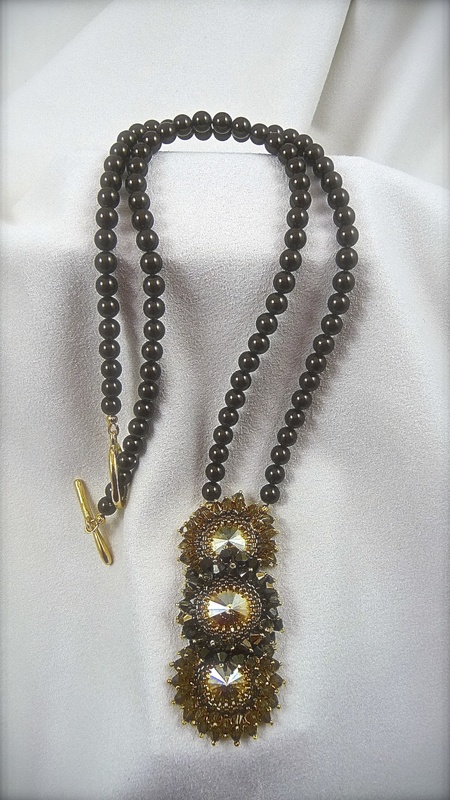 This pendant is hanging on 20″ of Swarovski Pearls in a deep rich shade of Mocca. I have designed a complimentary bracelet and pair of earring.